Along with the popularization of new body tracking technologies such as Microsoft Kinect, and the increasing individual initiatives in order to design solutions for such platforms, it is necessary to improve and to adapt all the framework of methods and processes for developing new applications for this context. 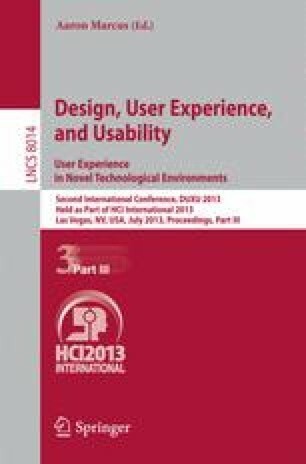 Just like that, this paper proposes a direction towards the formalization of an agile methodology for developing new applications on the background of body interaction, suitable for modest innovation projects with short schedules and small teams. To achieve that, we executed an experiment during a graduate course in Informatics, due to its similarities to the start-up context. The participating students followed a four-step methodology comprehending the stages of requirements identification, ideas generation, prototyping, and evaluation. The experiment outcomes are described in a way to enlighten the methodology techniques. As a conclusion, the students provided an extremely positive feedback regarding the adoption of the proposed methodology during the development of body interaction applications.